The 2017 US Open–moving to its new date in early August alongside the Youth Club Championships in Blaine, MN–is set to host the most competitive international field since the creation of the tournament in 2012. USA Ultimate announced today that the UK’s top club teams — Clapham (Men’s) and Iceni (Women’s) — would join Japan’s top teams, the Buzz Bullets (Men’s) and UNO (Women’s). Colombia’s top women’s team, Revolution, will also be in attendance. The teams will compete alongside the 2016 USAU National Championship semifinalists: Boston Ironside, San Francisco Revolver, Denver Johnny Bravo, and Raleigh Ring of Fire in the Men’s Division; Boston Brute Squad, Seattle Riot, Denver Molly Brown, and San Francisco Fury in the Women’s Division. 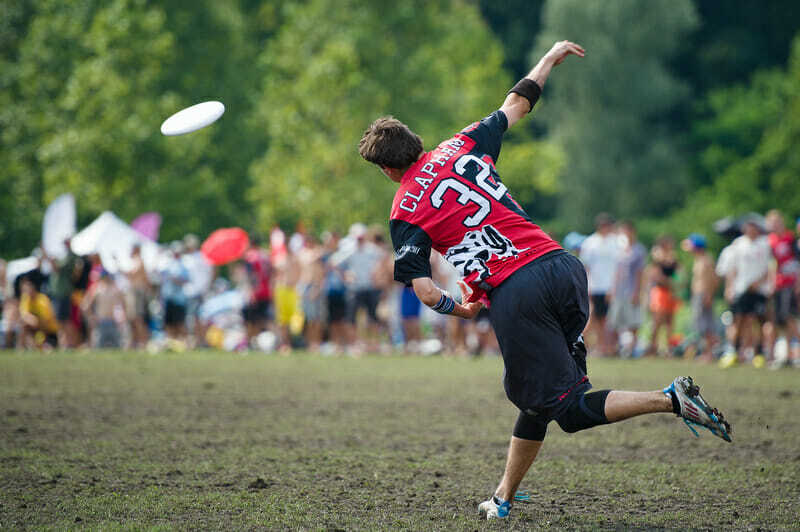 The US Open will be one of the few opportunities for top international club teams to face off against North America’s best before the 2018 World Ultimate Club Championships, set for Cincinnati, Ohio, in July 2018. Comments on "2017 US Open To Feature Strong International Presence"